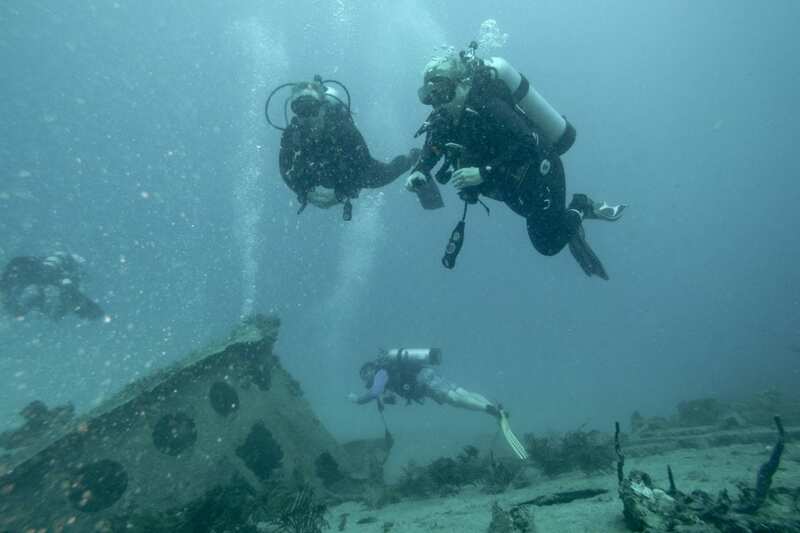 Most people never consider scuba diving in Fort Lauderdale. They don’t know what they are missing. 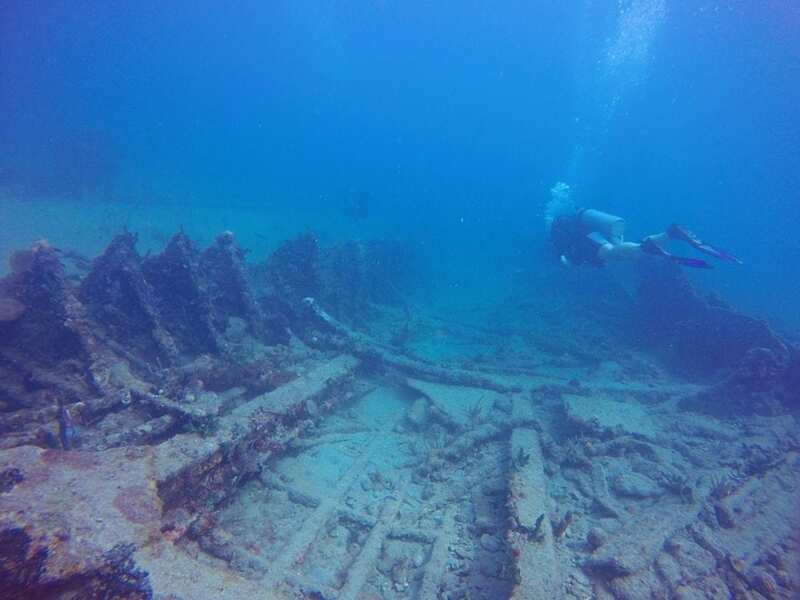 With over 23 miles of reef and 100+ shipwrecks, there is no shortage of things to see and explore. 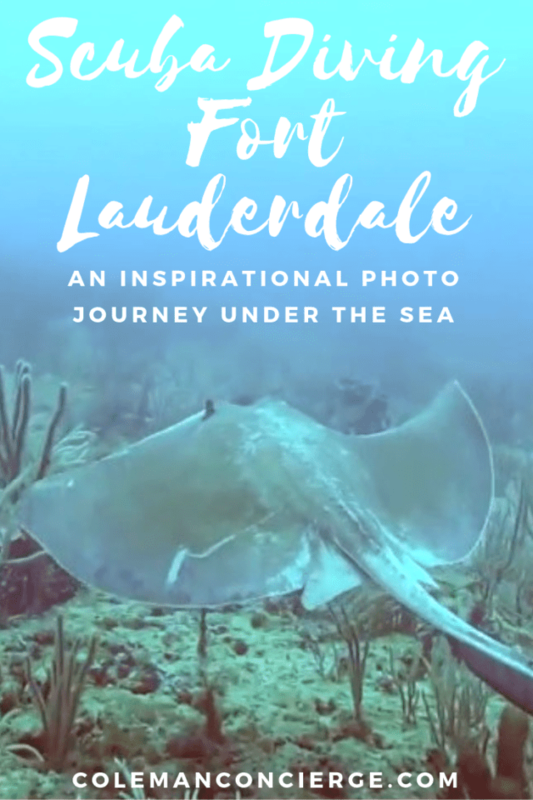 We selected our favorite photos from diving Fort Lauderdale, mixed in some gems from our friends, and wrapped them in a tale of adventure and discovery. 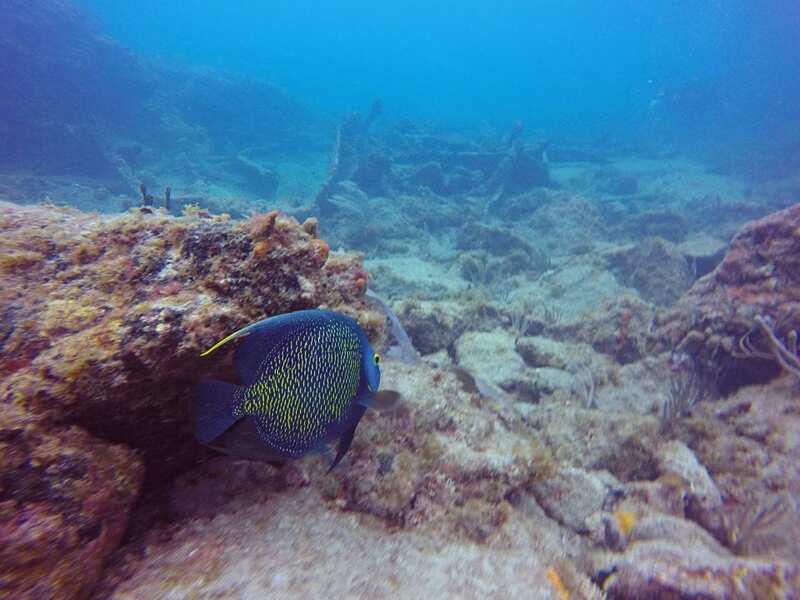 We hope you sit back, read on, and enjoy some of South Florida’s finest underwater scenery. Today’s voyage of discovery begins on one of the newest artificial reefs in Fort Lauderdale, the Okinawa. Divers circle the wreck sending up a wall of bubbles like an inverted rainstorm. 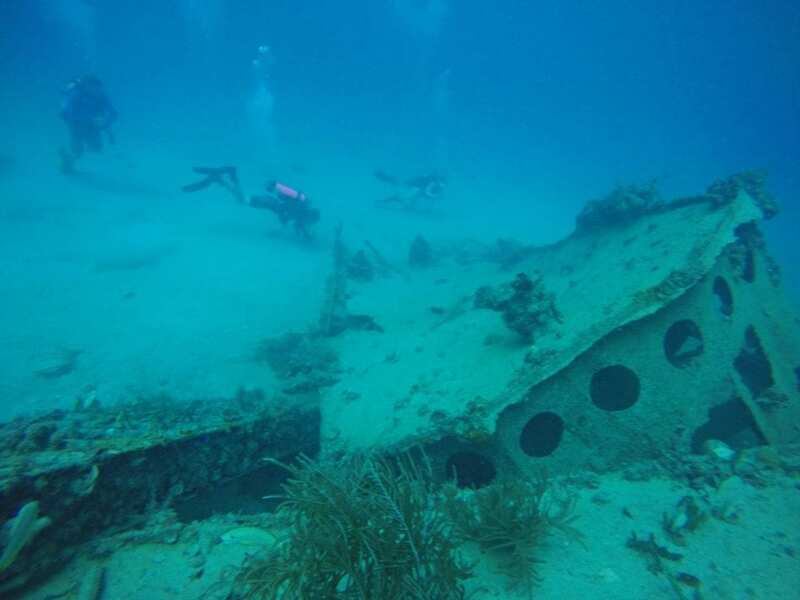 Like many of the recently sunken ships down here, the Okinawa has installation art on its deck created by world-renowned Pompano Beach artist Dennis MacDonald. MacDonald designed the mermaid to hold a gazing globe to remind divers that they are part of the ocean and need to be stewards of the sea. The Okinawa sank in August of 2017. Hurricane Irma claimed the gazing globe that September. Now the mermaid holds a patch of seaweed. The reef is growing on her body and transforming her from just art to a living part of the sea. Perhaps the real message from the Okinawa is that the ocean is always changing and adapting with every visit you take. This beautiful photograph from Andre @oceanprophotography illustrates one of my favorite standards of diving – dive buddies. 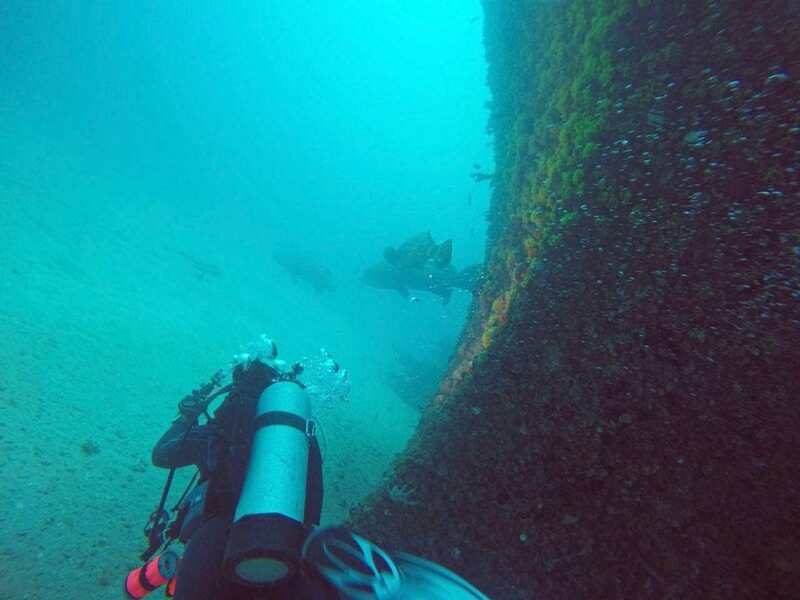 Notice how the divers stay paired up as they explore this wreck. 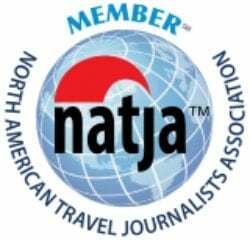 You never dive alone per dive standards. You always have a buddy to share the experience with and help in case something goes wrong. The connection you feel with your dive partner exploring new worlds in silence defies explanation. You can only understand it once you have experienced it for yourself. 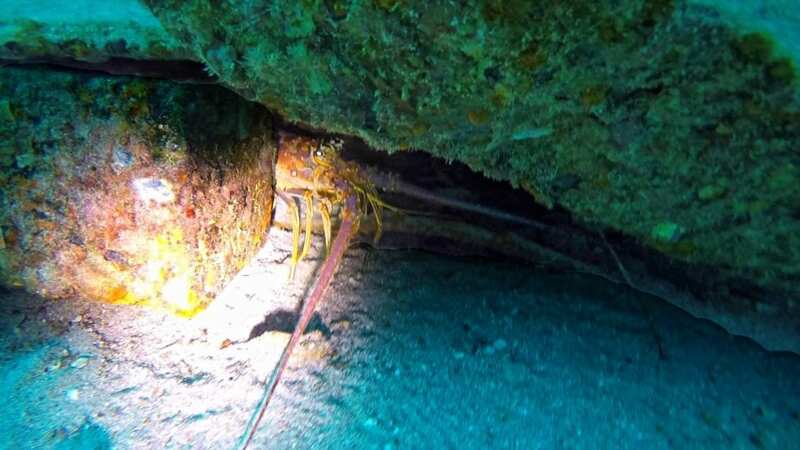 We weren’t gathering lobsters, and this little guy didn’t end up in our pot, but when you go diving you really should slow down and check out the nooks and crannies. It’s here that the strangest creatures of the deep reside. You never know what you will find in any given hole. Maybe a lobster waiting out the day until they begin their nightly feeding. Perhaps a moray eel laying low to ambush passing fish. 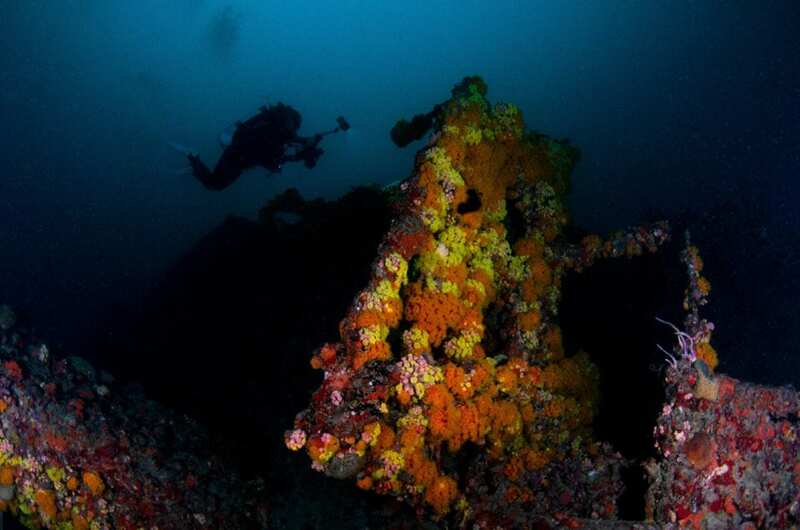 An amazing assortment of life lives deep within the structure of the reefs and wrecks waiting to be discovered. Let this be a stern warning for you. Beware of bad ship puns. Sorry… On with the story. Diving turns the world on end. Here I am floating in space beside a wreck resting on her side. It’s an entirely different way to view the world. Anais Nin said – “It is the function of art to renew our perception. What we are familiar with we cease to see. 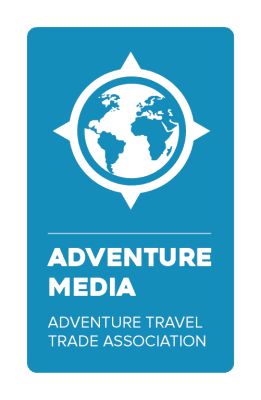 The writer shakes up the familiar scene, and as if by magic, we see a new meaning in it.” Diving Fort Lauderdale fills you with the magic of leaving the familiar. Extraordinary diving takes an extraordinary dive boat. 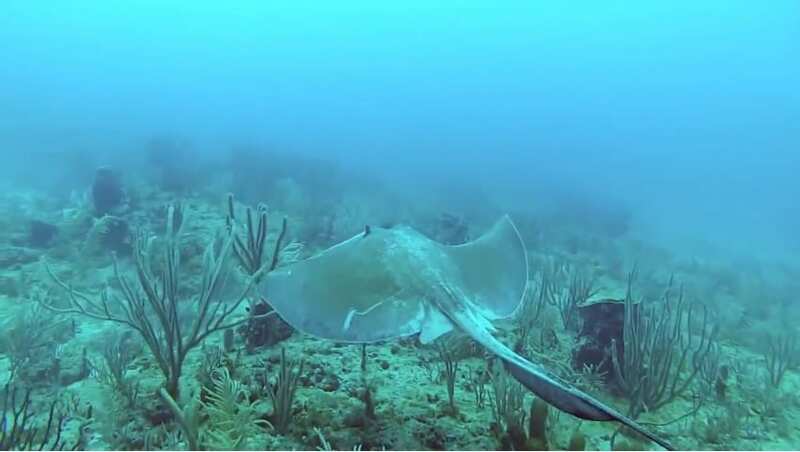 We have been overjoyed working with Pompano Beach Dive Center. 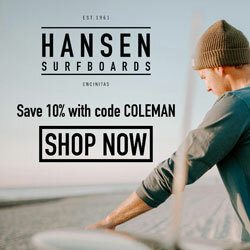 From their first-rate equipment and professional staff, they are truly a full-service dive shop. Each and every trip with them has been fantastic. What’s more, we get this beautiful view of the Hillsborough Lighthouse as we enter and exit the inlet on dive trips. You never know what you might discover on any given dive. We turned the corner on this massive wreck to find three goliath grouper just hanging out. These beautiful fish can grow to over 500lbs and live more 100 years. We just happened upon them hanging out and waiting for a meal to swim by. 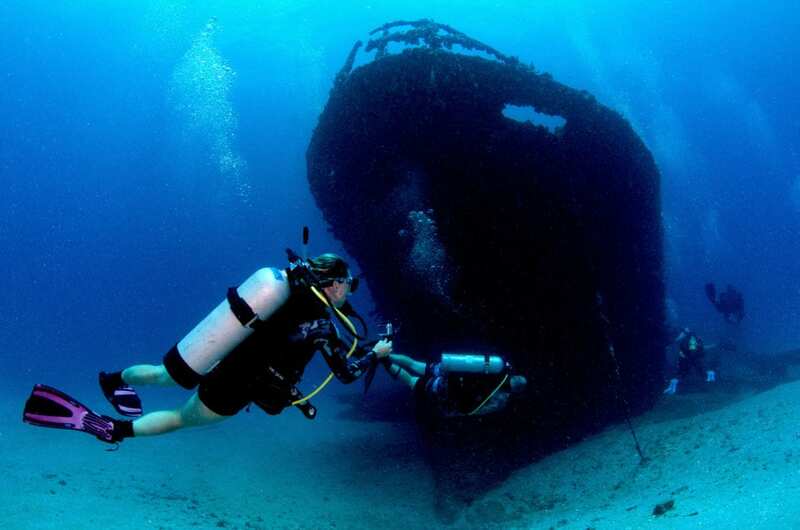 When you are scuba diving, you never know what you’re going to discover around the next bend. We learned from our Fort Lauderdale Turtle Trek that this area is the most productive turtle hatchery in the world. During turtle nesting season from May through September, more turtles nest on the beaches of Fort Lauderdale than anywhere else. Turtles flock in from their home in the sargassum beds in the middle of the Atlantic Ocean to lay eggs and mate. 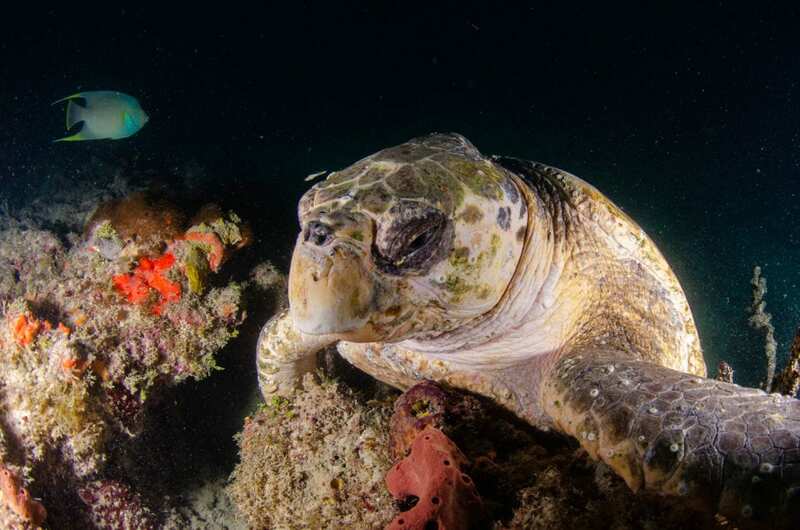 Not only do divers get to a chance to see these gentle giants, but they also witness a mysterious life cycle that scientists just now are beginning to understand. Do you remember the title shot for this article? It was the United Caribbean filled with diver and a swarm of bubbles floating everywhere. 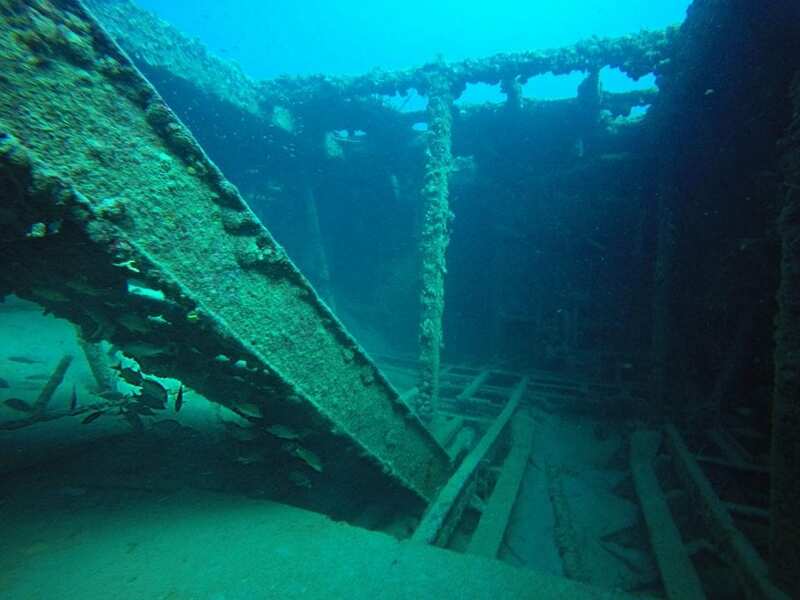 This is the same wreck on the same dive. Notice how quiet it looks. The sand is gobbling up the remains of the shipwreck, and everything is peaceful. Diving is all about perspective. Every minute of every dive might bring you a different view of a place that you have already visited. Open your mind, and the world will follow. What did your six-year-old-self say they wanted to be when they grew up? Being an astronaut topped my list every time. Life has a way of fulfilling your personal legend if you learn to look at things in the right way. 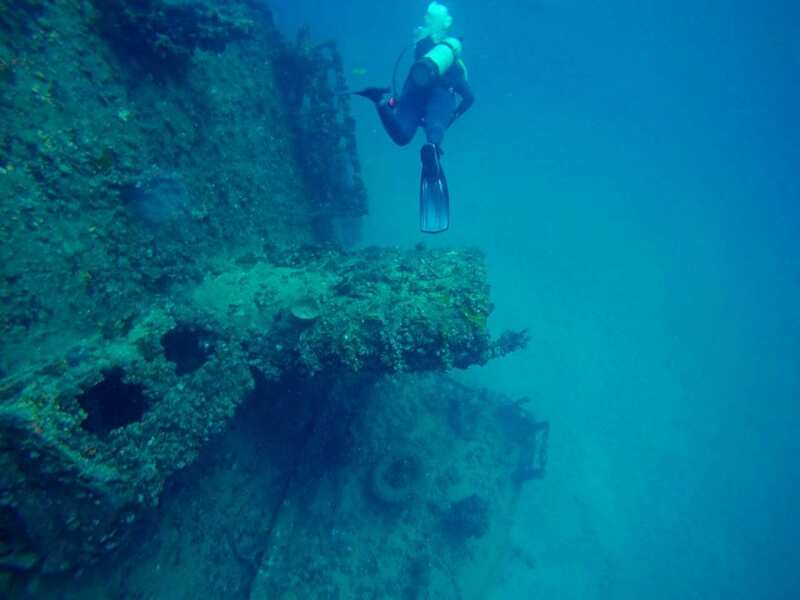 Bounding through the corroded corridors of this wreck, I felt like I was in outer space. There is a reason NASA trains their crews underwater. Dive transports you in both time and space. The SS Copenhagen is an underwater archeological site. It ran aground over 100 years ago off the Florida coast. 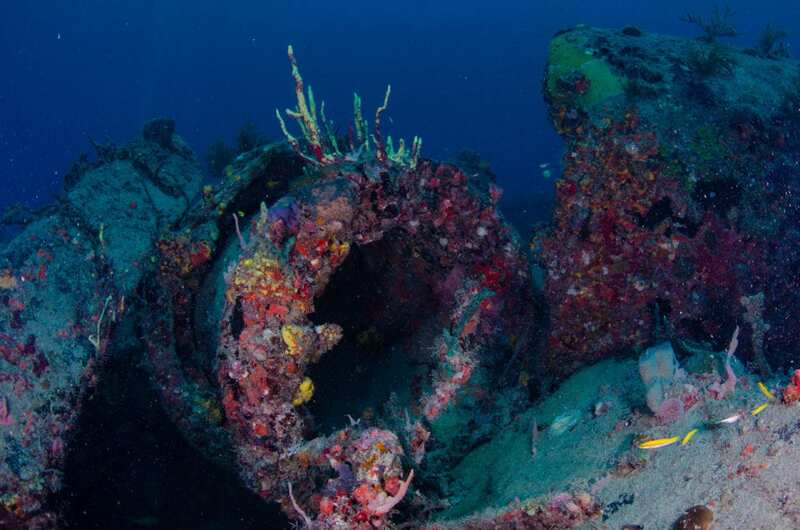 This one wreck tells the story of just how different the world was then. She was on a voyage to Cuba, back when we had regular trade with our southern neighbor. She also sported a mainsail, which you can see in the picture reaching up to the surface. When was the last time you saw a commercial vessel with a sail? I’ll go back to my six-year-old-self as I show another view of a diver on the SS Copenhagen dive site. 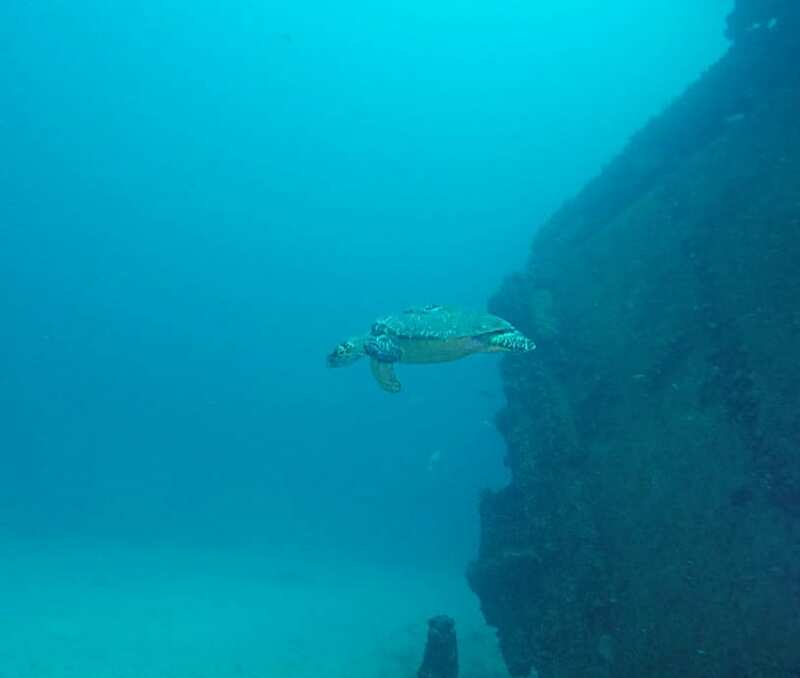 Here, my dive buddy glides over the articulated hull of the wreck like a WWII plane on a bombing run. This scene isn’t too far from reality. 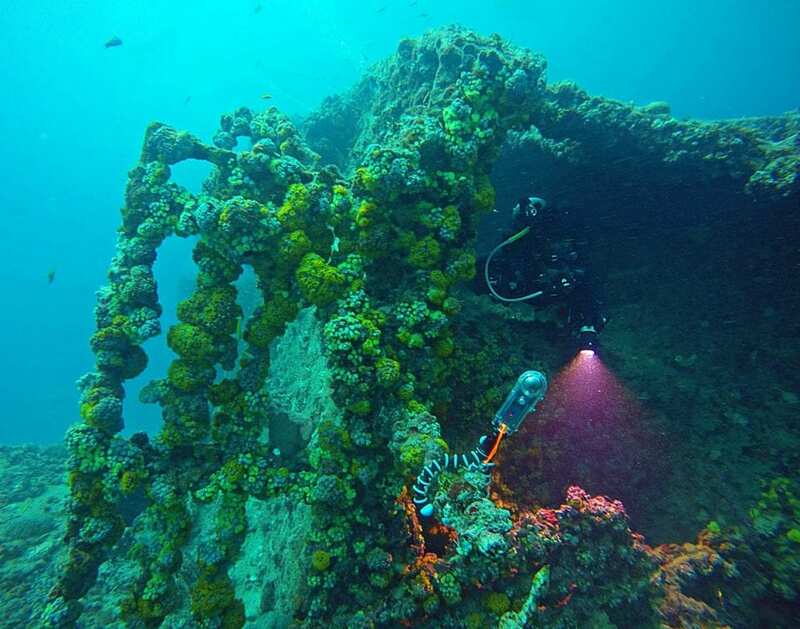 For 30 year, the Copenhagen was visible from the beaches of Fort Lauderdale until US pilots training for WWII used the wreck as target practice, which sent it to its current resting place in 30’ sea water. 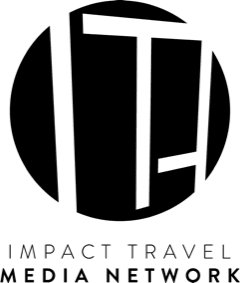 You have heard of the butterfly effect. Perhaps having this practice target helped one of these pilots sink a ship that turned a critical battle in the war. There is no way of knowing, but my six-year-old-self loves pretending to be a pilot starting up a bombing run. Diving offers more than just seeing wildlife. You get to meet them and live in their world for a brief period of time. Just look at this little guy’s face. Can you imagine what he is thinking? He might be friendly and enjoy your company, or at least a little bit curious what you are doing down here. He isn’t just some turtle. He is that turtle. The one you met while diving and shared a little swim with. Do you know why the ocean is blue? It’s because it reflects the blue light back as the light penetrates into the deep. When you bring lights diving, you can see the true colors of the reef. Look at the contrast between the light and the shadows and see how colorful the reef really is. Kristi Paterakis did a fantastic job setting up this picture and showing the hidden world waiting for your exploration. If you’re like me, you love to get free things. 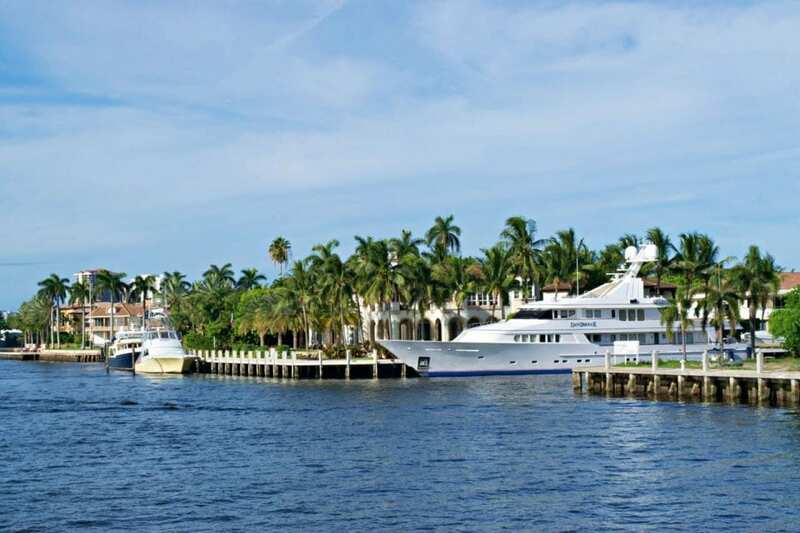 Fort Lauderdale is known as the Venice of America because of its 300 miles of canals and waterways. 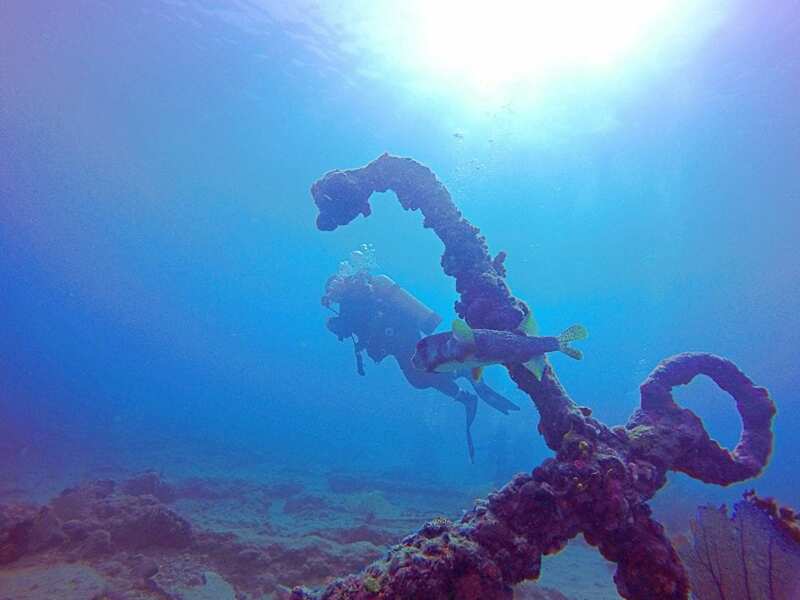 Dive sites in Fort Lauderdale sit close to the shore making the boat ride out notoriously short. The scenery you pass on the way out shouldn’t be missed. This is a view of Millionaires Row in Fort Lauderdale that you might see, depending on which company you selected. Any dive trip will include a canal tour free of charge. You might find one or two groupers by chance, but if you come to the Castor in late summer, they gather here in mass. 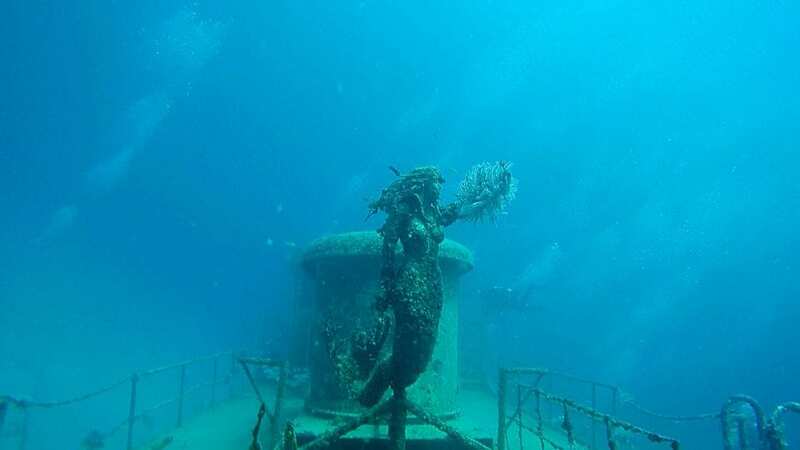 Andre did a great job capturing this scene of a giant grouper hanging out on the Castor. I heard the stories of the grouper aggregation and can’t wait to see it for myself. The Ancient Mariner was prepared well as an artificial reef. 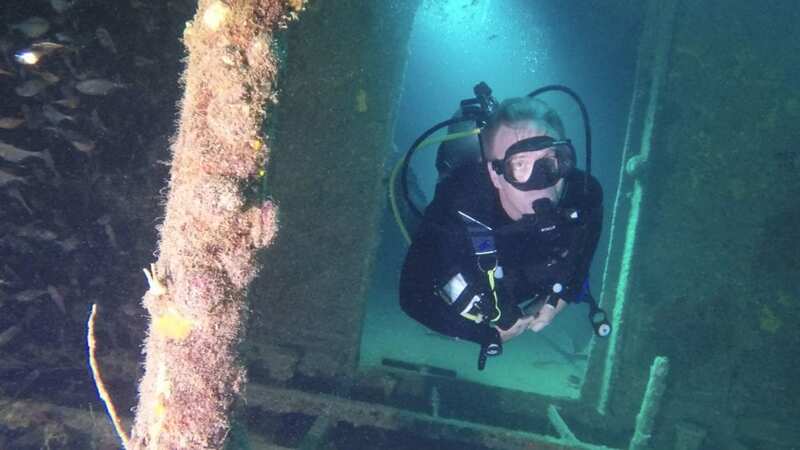 The crews worked hard to open massive portions of the deck that allows scuba divers to enter the inside of the ship without specialized training. We floated right down the staircase and into the ship’s hold with no confined spaces or overhead environment. There is no easier way to enter a shipwreck. We return to the United Caribbean to look at it in a new light. This is now the third photo you have seen of the site, and I say it looks completely different. Andre’s lights show just how colorful the coral is that covers this wreck. They also show, once again, how important perspective is when diving. 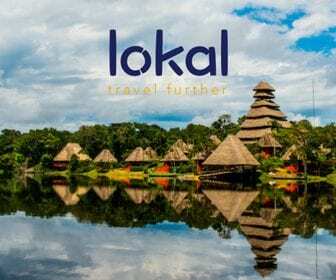 Every trip, every partner can show you something beautiful and new. Fort Lauderdale’s reefs run in three parallel tracks, known as the inner, middle, and outer reefs. 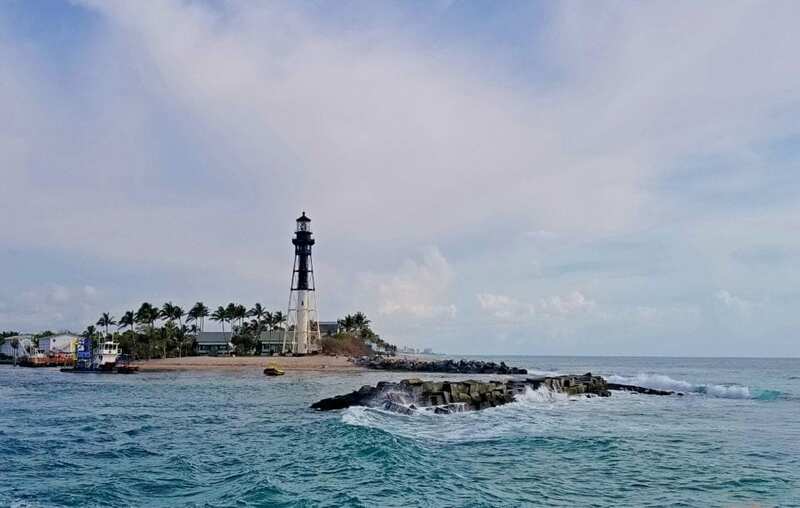 The inner reef of Pompano Beach is known as the Pompano Drop Off. This reef is close enough to be accessed via shore diving and shallow (~20’) enough to give you noticeably longer bottom time. The light is very pure and all the blues are visible. 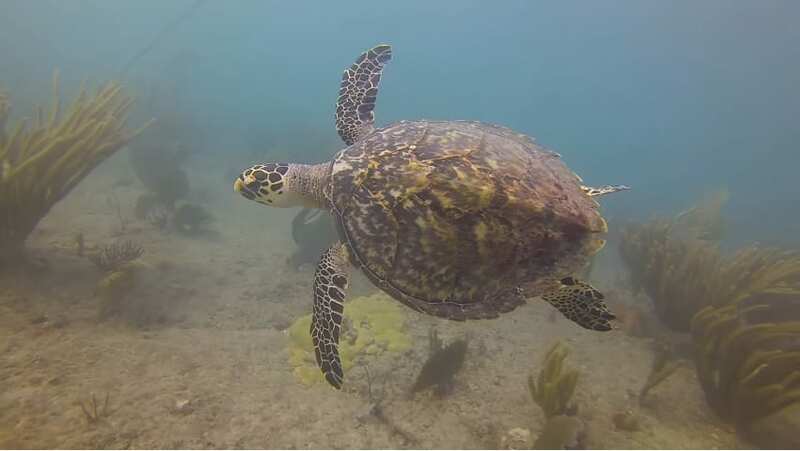 What’s more, you still get chances for incredible encounters including sea turtles. The story of sinking the Sea Emperor demonstrates how you don’t always get what you want diving, but you get what you need. The Sea Emperor is a flat barge that was loaded with culverts. The plan called for her to sink and sit upright on the bottom with the culverts creating wildlife habitat. Instead, she flipped on the way down, scattering the culverts and sitting upside down on the ocean floor. 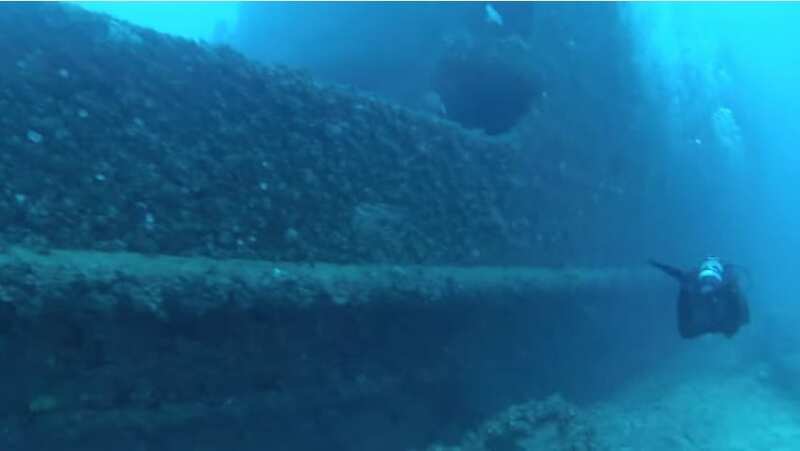 Properly trained divers now have long swim throughs between her deck and the bottom. 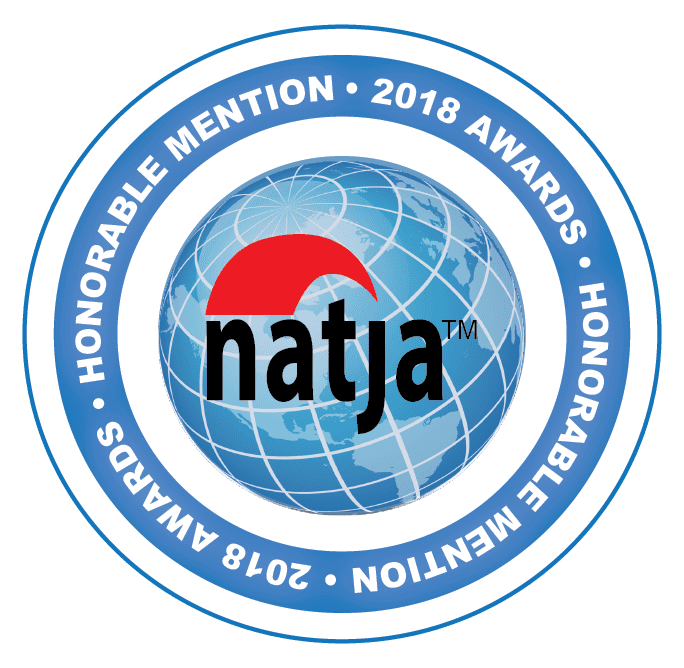 As for the culverts….. 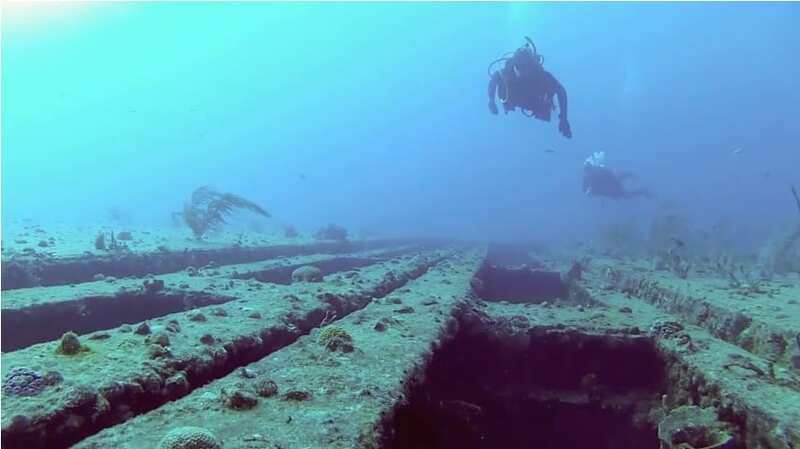 The Sea Emperor Culverts scattered as she sank creating perhaps the most prolific artificial reef in the area. This area has been called the Aqua Zoo because of the quantity and variety of life found here. If you love sea creatures, you have to dive this! 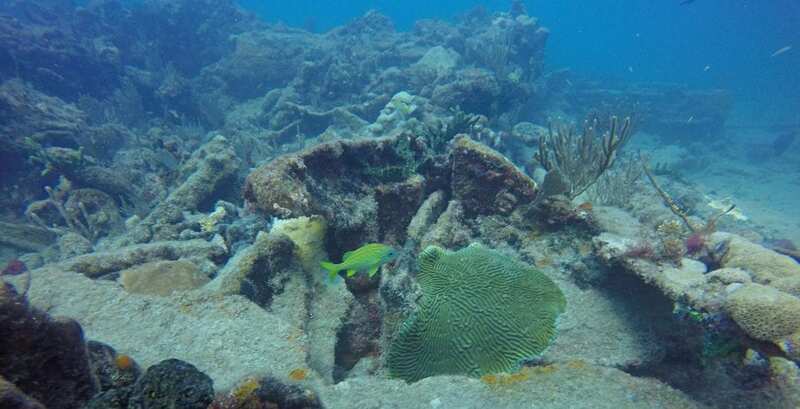 I hear the reef growing on the Captain Dan dive site makes it stand out amongst the hundreds of possible sites in Fort Lauderdale. The backstory for the boat fascinates me. Captain Dan had a long and colorful life before she became a colorful reef. Amongst her exploits, she was a gospel ship, Good News, that sailed up and down the Florida coast spreading the good word. After retiring from active service, she was slated to become a floating restaurant. She sank not once, but twice while being converted to food service duty. After opening, she held the notorious distinction of having the largest case of food poisoning in Florida history. Ant Bed Reef gets its name because the reef has collapsed creating pockets and holes much like an ant bed. Needless to say, the critters love this structure. Apparently, this stingray loves it too. Ant Bed sits close enough to the Ancient Mariner and a smaller tug called the Berry Patch that on the right day with good air consumption, a diver could hit all three on the same tank of air. 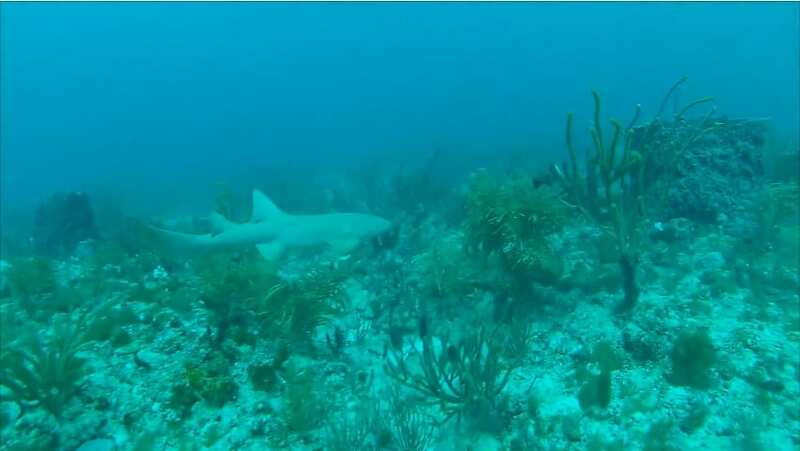 This picture is from the Nursery Reef Dive Site, so named for a family of nurse sharks that frequent the area. It’s shallow enough to snorkel and close enough to the Copenhagen that they are often dove together as a combination Copenhagen / Nursery Dive. We didn’t see any sharks on our dive, but we did see a healthy coral reef loaded with life. I love this picture because it’s as if this French Anglefish is leading us into his home. Like a friend who has you over for dinner or to show you their new TV. Fort Lauderdale is full of colorful tropical fish waiting for you to enter their world. Anchors symbolize hope, tranquility, and stability. They also just express the nautical life. Sailors sometimes get an anchor tattoo for each trip they take around the world. 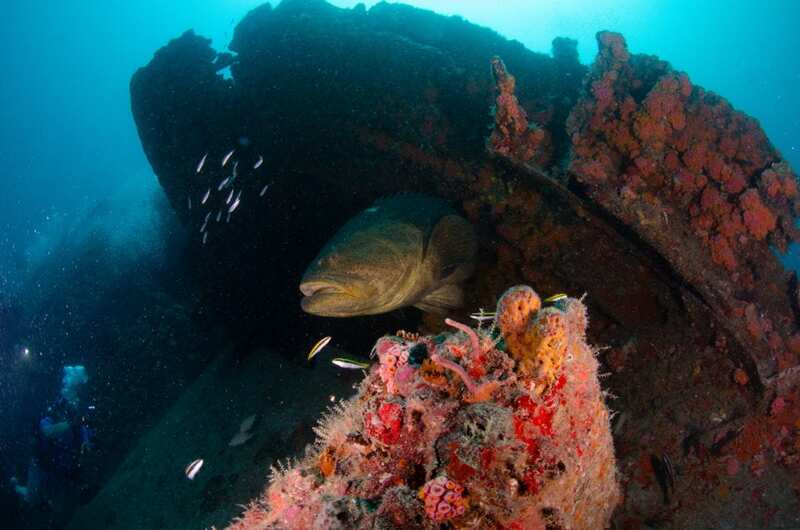 Every ship has one, and it’s a bit of an easter egg hunt to find the anchor on a wreck. This is the anchor of the SS Copenhagen. Lifting the anchor also signals the end of a voyage. 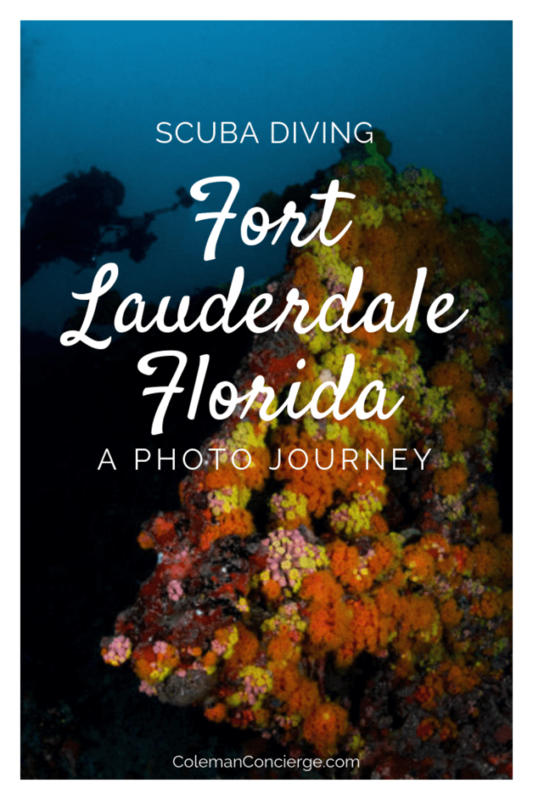 We hope you enjoyed our photographic journey through scuba diving in Fort Lauderdale. 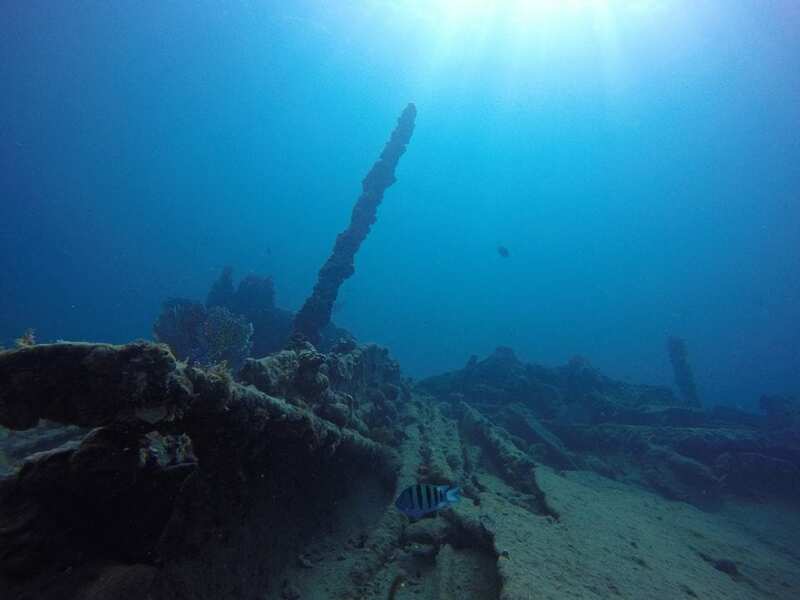 If you want to learn more, check out our Fort Lauderdale Dive Guide. 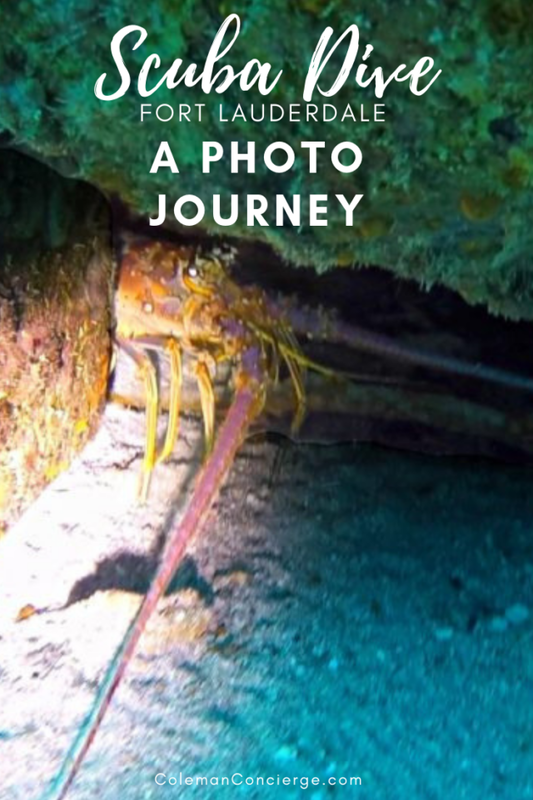 It is complete with photos, map locations, and descriptions of over 60 dive sites in Fort Lauderdale, there are even a few video ‘easter eggs’ to be found. Disclosure: This post was written in partnership with our sponsor, Pompano Dive Shop. 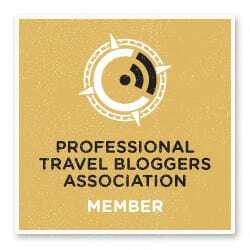 For more scuba inspiration and information, check out their Instagram, Facebook, and Twitter accounts. As always, the views and opinions expressed are entirely our own, and we only recommend brands that we 100% stand behind.